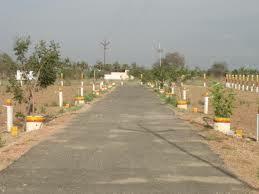 RESIDENTIAL PLOT, ALLOTED BY LUCKNOW DEVELOPMENT AUTHORITY, OF 114.975 SQ M IN GOMTI NAGAR, SECTOR-5 IS FOR SALE. GOMTI NAGAR IS THE BEST AREA OF LUCKNOW. PLOT IS ON SHAHEED PATH. IT IS WEST FACING ON 9 M ROAD. EXCELLENT LOCATION. ONLY REAL BUYERS MAY CONTACT OWNER. PRICE OF THE SAID PLOT IS Rs. 4400000/-. THIS PRICE IS ONLY FOR SHORT PERIOD. CIRCLE RATES HAVE REVISED IN AUGUST 2013. IN THE LOCALITY( NEAR BY)- PROPOSED LUCKNOW METRO (HARDLY AT 50-100 METERS DISTANCE FROM PLOT), MARKET, HOSPITAL, CMS SCHOOL, DPS SCHOOL, ST. FRANCIS SCHOOL AND GOVT. (PACCFED) OFFICE BUILDING ETC. PLOT No. 5/EIGHT HUNDRED SEVENTY…. ONLY REAL BUYER IS REQUESTED TO CONTACT.